In today's economic climate, finding and keeping a job can often be a long and difficult road. Along the way, you might find that you have the talent and ability to start up your own business and leave the struggling job market to someone else. An important factor in making any such decision is cost - especially if you're doing this alone and with limited funds. While this might restrict your options somewhat, there are still some decent opportunities out there (at little to no cost) for someone that is willing to put forth the effort required either to pursue them as a career, or use them as a springboard to finance bigger opportunities down the road. All you need to get started with this is some of the junk you probably have laying around the house. Check around the site, read all the tutorials and find out what similar items are selling for first. Then try listing one or two of your own items. As you're getting the hang of how it works, keep your eyes peeled for clearance sales, discontinued product lines, drop-shipping opportunities, arts and crafts that you can make yourself and even other people's products that you can sell for them on the site, while keeping a fair percentage for yourself. Always price your products with the site's fees in mind and look into opening your own ebay store, if you plan on sticking with it. If you're good around the house and enjoy working with your hands, this could be a great way to make some cash. Your market can be anyone that either doesn't have the time, ability, or skills to repair all those broken door knobs, holes in the wall and broken windows. Home improvement services typically focus on the bigger jobs that require more knowledge and experience than the ones you'll be tackling and you'll be able to charge less for these smaller jobs. If you're not particularly skilled at this sort of thing yourself, consider being a contractor and sub-contracting these jobs out to independent tradespeople, while you book the appointments and manage the business. Everyone wishes they had someone else to do their grocery shopping, pick up their kids, pay their bills and drop their car off at the shop. Although we can't all afford to pay someone else to do these things, it's the busiest of the busy people that you should be targeting, such as the doctors, lawyers and other business people that haven't even got the time to pick up their own suits at the dry cleaners. These people make serious money and most of them would gladly pay for such a service. Advertise your services with social media, fliers and some simple business cards. This one isn't for everyone, but if you have kids of your own, enjoy being around them and have plenty of patience, you might find this very rewarding in more ways than one. This isn't something that will cost very much to get off the ground, other than maybe purchasing a few portable cribs and some simple toys for the little ones to entertain themselves with. Check to see if there are any state or local regulations for home daycare services and make sure you find out if your state requires a license to operate. Obviously you'll have to travel to do the actual cleaning, but the business aspect of it will still be based at home. Some of your clients may hire you to clean their homes, while others might need their offices done. If they like your work, you might even be hired to do both for the same client. 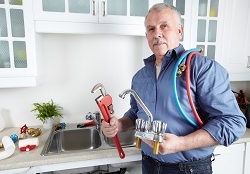 The supplies needed to get started with residential work are relatively inexpensive, so just make sure you're charging enough to cover these expenses and your gas, while still earning a profit. Do some research online and make a few phone calls to find out what similar services are charging in your area. If you have a talent for writing, there is money to be made in this business and it shouldn't cost you anything at all to get started. Whether you choose to write articles, ads, sales copy or reviews, there is always someone willing to pay you for it. If you brush up on your grammar, style, spelling and punctuation as you go, you will find that putting out quality work will earn you more money and open you up to greater opportunities, over time. Contrary to popular belief, it does not have to cost you a ton of money to start a business of some kind. What is most important is that you find something that you enjoy doing and can actually see yourself sinking all those extra hours into. If you can think of it, it has been done before and is probably still being done by someone else, who was willing to put forth that time and effort. Remember that this is the difference between success and failure and any one of these inexpensive start-ups can be used to finance bigger and more expensive ventures in the future.